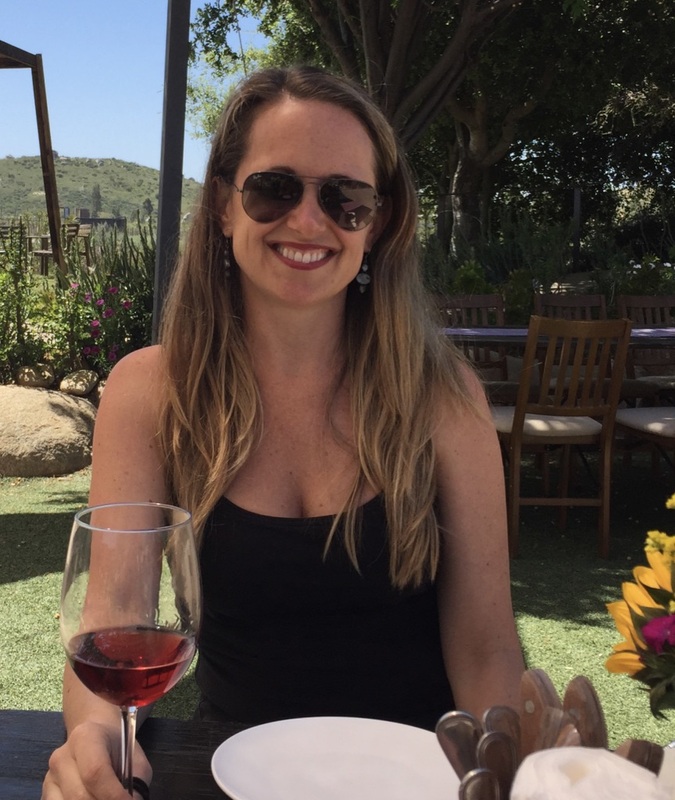 It’s official… Baja’s Valle de Guadalupe wine region has stolen my heart. I recently spent a long weekend in the area, soaking up all the food, wine and scenery the Valle has to offer. One of my favorite stops along the Valle’s Ruta del Vino was Deckman’s en El Mogor restaurant and the Mogor Badan Winery – both of which are on the same gorgeous piece of property. Michelin starred chef Drew Deckman prepares his dishes in a rustic outdoor kitchen without the use of electric or gas appliances. He uses the freshest local ingredients – seafood, meats & vegetables – and prepares everything on a stone hearth, artfully creating culinary masterpieces you would be lucky to find in any of LA’s finest restaurants. I was in awe of our storybook surroundings – the vineyard and mountain views for miles, the rustic outdoor dining room that was built using elements only mother nature could provide, the estate’s dog and her pup napping in a shady corner near the kitchen, the delicious, estate-grown food and wine prepared in the coolest Michelin starred restaurant I’ve seen. It was all just perfect. We enjoyed an incredible chef’s tasting menu, accompanied by a bottle of Mogor Badan’s estate Bordeaux blend of Cabernet Sauvignon, Cabernet Franc and Merlot. After our meal, we took a short walk up to the Mogor Badan Winery tasting bar and enjoyed a couple more glasses of wine. When we arrived for our tasting, we had the good fortune of meeting Natalia Badan whose father Henri Badan founded El Mogor farm and winery in 1952. Natalia now directly oversees both operations, producing some of the best organic wine and produce in the Valle. We sipped a refreshing white ’13 Pirineo Blanco and another glass of the juicy, slightly spicy ’11 Mogor-Badan blend while we took a quick tour of the El Mogor caves. We eventually made our way home after a magical afternoon with a few bottles of Mogor-Badan in tow. El Mogor is a little slice of heaven … I can’t wait to return. My kind of winery…hidden treasure.